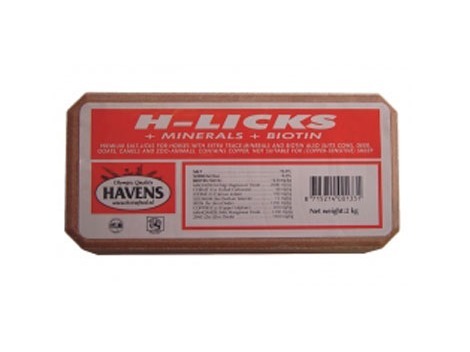 are 2 kg premium licking-blocks for horses made of 96 % natural salts, added minerals, important trace-elements and biotin. For all living organisms, salts, minerals and trace-elements are of vital importance for the general health and functioning of blood, bodycells and muscles. Salt and mineral deficiency can lead to lack of appetite, reduced condition, lack of energy, dull or dead appearance and reduced performance. Especially when providing large quantities of (low-mineralised) roughage (or roughage grown in mediteranean or middle east countries), special attention should be paid to avoid deficiencies. It should also be noted that sporthorses, horses in training andhorses living in hot climates have an increased excretion of salts and minerals through sweatening and urine. Extra salts, minerals and trace-elements should be included in the daily ration. In an easy-to-supply 2 kilo block. A non heating fully balanced condition cube for light to medium work. Contains all essential vitamins and minerals. Suits all horses (especially cold bloods, and mature horses) and ponies. 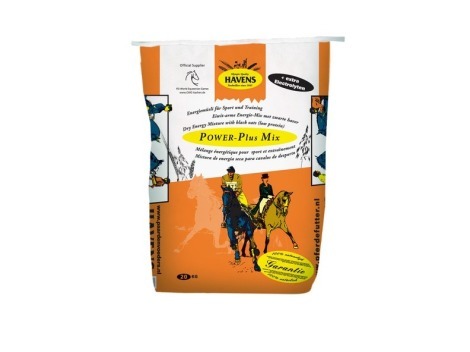 Complete Non-Heating mix with alfalfa and speltwheat and with slow-releasing energy. High levels of minerals, vitamins and trace elements. 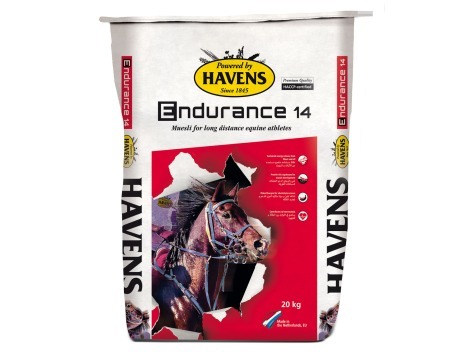 Ideal for all easy-to-feed horses and nervous or sensitive horses. 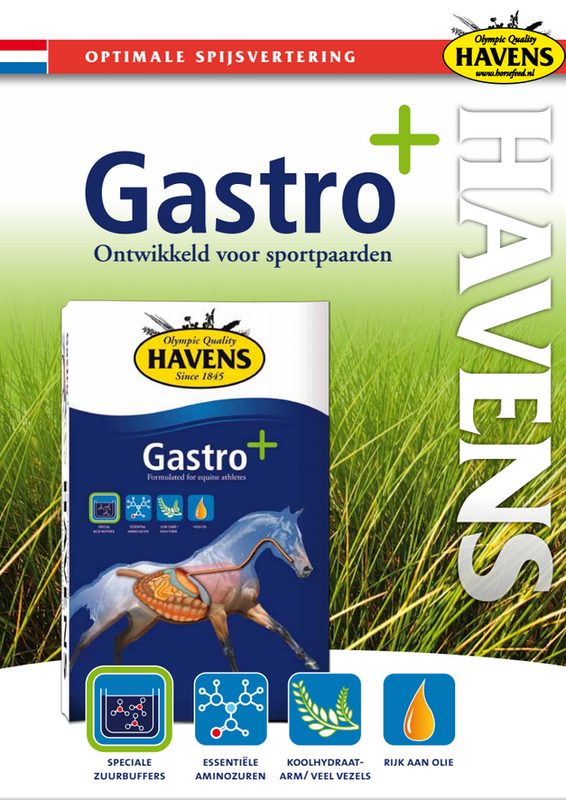 HAVENS has formulated a new and unique feed for all horses and ponies that suffer from digestive problems or stomach ulcers: the Gastro+ ! 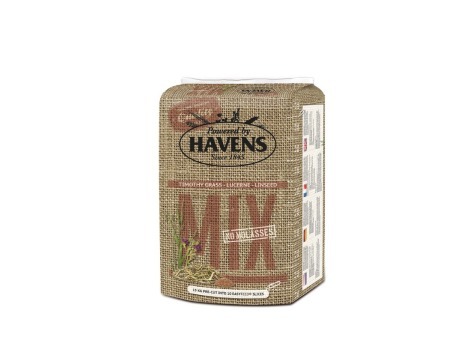 HAVENS MIX is a high quality chaff of timothy grass (Phleum pratense), Lucerne (medicago sativa) and a blend of linseed products (linum usitatissimum). 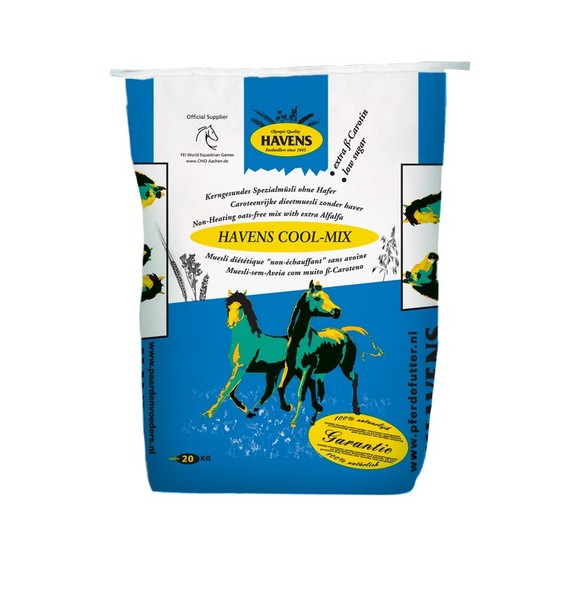 MIX can be perfectly used to upgrade your horse’s diet (proteins, amino-acids) and to increase the eating time (mixed with concentrate feed). The high fibre content promotes chewing which helps saliva production, an important part of the digestive health. A well chewing horse is a happy horse. Linseed is a natural source of omega acids. 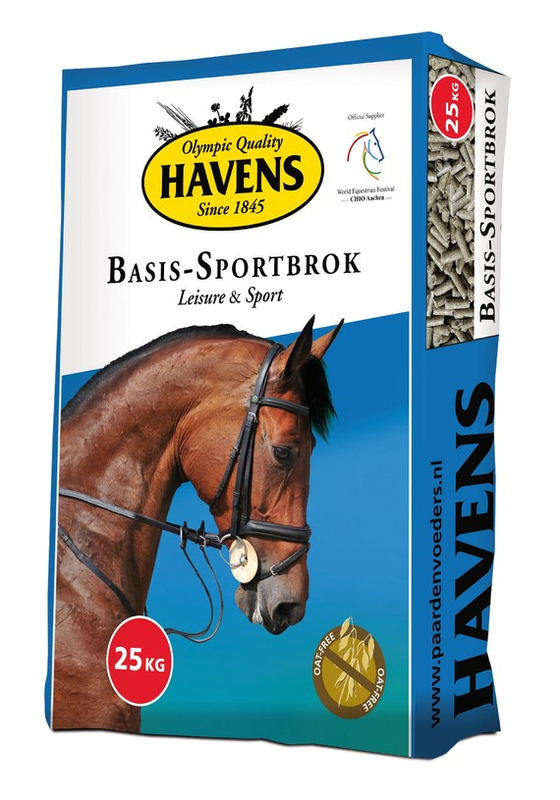 Dry energy mix for sporthorses with black oats and a low protein content. 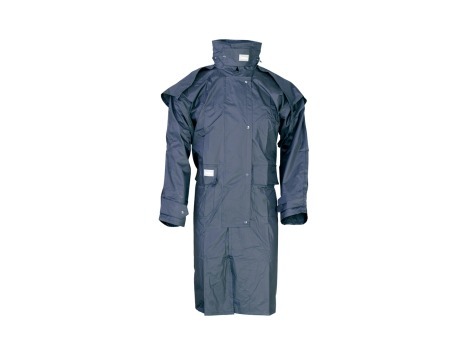 Ideal for horses in training and peak fitness. 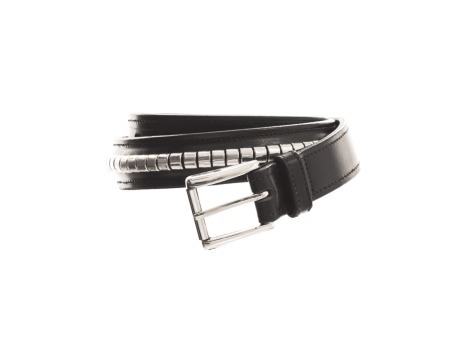 Ensures extra power and strong and elastic muscles without fattening. 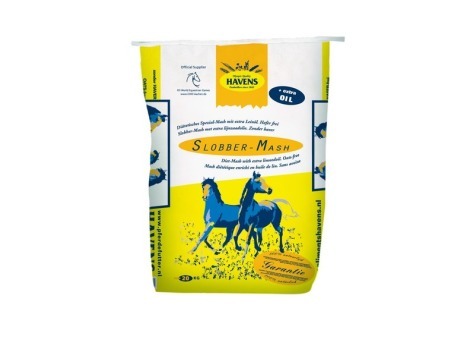 Very palatable mixture, rich in vitamins and fibers, consisting of flaked cereals, toasted lineseed, wheatbran and dehydrated alfalfa, completed with extra vitamins and minerals. 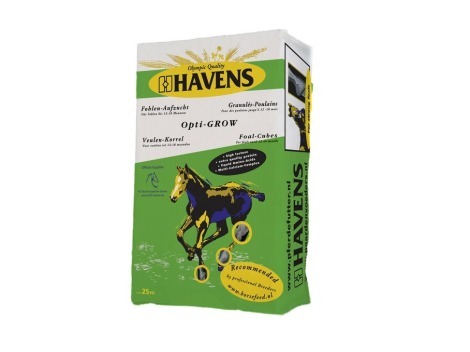 Ideal for older horses, hard-keepers or to improve the condition of coat or hoofs. 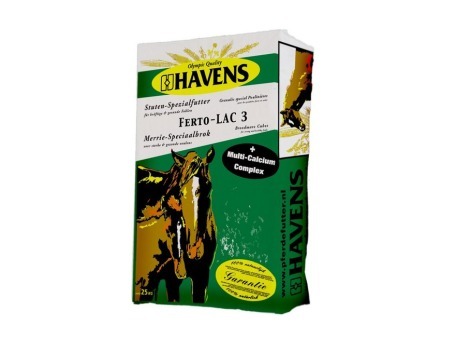 consist of compressed pure lucerne and mint, ideal as a treat or to upgrade your horse’s diet. 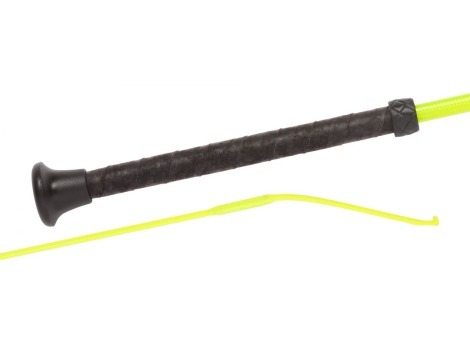 Your horse can chew on the BRIX which can help relieve boredom. 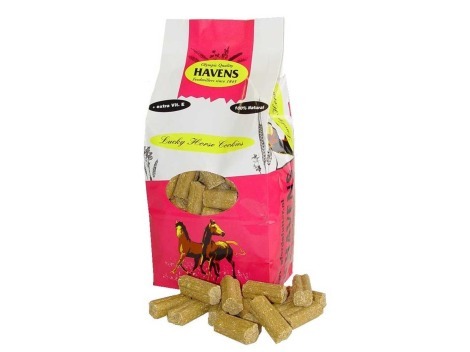 The high fibre content promotes chewing, saliva production and digestive health. 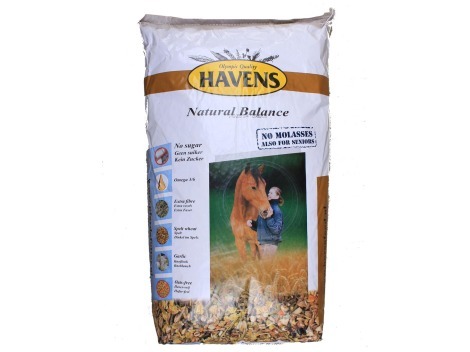 A HAVENS BRIX in the manger with the concentrate feed will help prevent gobbling. 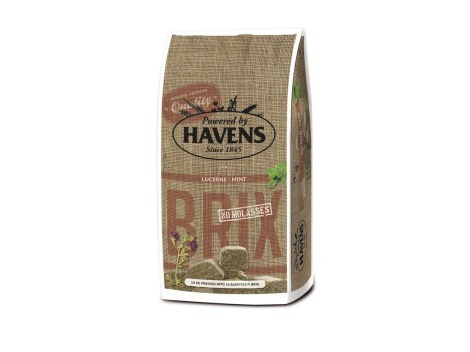 It works like the well-known stones in the manger, except BRIX is a healthy edible alternative. Dried mint has been added to tempt even the most picky eaters. Very luxurious small Foal-cubes for the first 18 months with high levels of the best quality proteins, extra energy and many milkproducts to supply foals with a good start.